This course emphasizes the strategic importance of information in managing organizations. The management case approach will be used to analyze textbook and real life MIS situations. Students will work in collaborative learning teams throughout the semester. Students will gain hands on experience in problem solving by analyzing the MIS at an organization of their choice. The focus of this course is on how managers use Information Systems to make decisions and is not intended to make the student proficient in any one particular software application. Either CIS100, CIS101 or CIS135, and BUA/CRJ/POS 223 (or permission from the instructor). 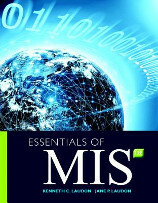 Fundamentals of MIS, decision theory, business process analysis with a focus on problem solving, information systems development from the manager's perspective, MIS applications, decision making, enterprise applications including supply chain management, managing knowledge & change, competitive uses of information technology, electronic commerce and system security. Space and time are fundamental concepts of how humans process information and seek to understand data. This course offers the theoretical issues and applied practices that can impact our computational understanding of space and time. Topics covered include databases, spaces, modeling, representation, algorithms, data structures, architectures, interfaces, reasoning, and uncertainty in both space and time. This course may not be applied toward the CIS degree. 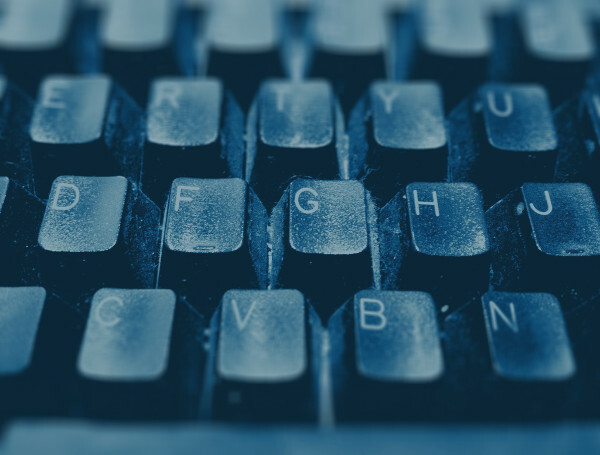 This computer literacy course introduces computer terminology, hardware/software components, and the development of computer skills required for personal, business, or educational applications. 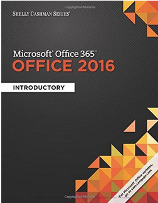 Using the Microsoft Office suite in a hands-on lab, students are introduced to productivity applications used in the workplace, such as word processing, spreadsheet, database, and presentation software. Students in other disciplines will learn to use the computer as a research, communication, and applications tool. Essential computer hardware and software concepts, user interfaces, Windows© terminology and fundamental tasks, electronic communications, Internet Research, Word© terminology and productivity applications, Excel© terminology and productivity applications, Access© terminology and productivity applications, and PowerPoint© terminology and productivity applications. This course provides and elementary but substantive overview of computer science and is designed to help you develop critical (algorithmic) thinking skills to stimulate interest in computing and its impact on human culture. Topics include algorithms, structured programming, expression evaluation, information coding, computer operations, software, networking, the object-based paradigm, the relational model, the information systems development life cycle, and human and organizational factors in information systems. CIS 101 is a foundation course for the CIS degree and a prerequisite to other core courses. 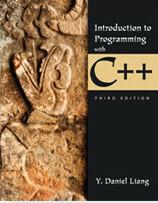 History of computers; applications of computer tools and technologies, types of hardware and software; relationships between computers and users; computer applications related to data processing, web apps, and presentation tools; computer terminology; computing in society; analytical and problem-solving skills involved in the software development process. Analyze limitations, capabilities, and uses of major computers, computing systems, and software and their relationships to individuals, commerce, and education. 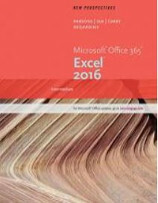 Utilize and develop computer applications related to text and data processing, web applications, and presentation tools. 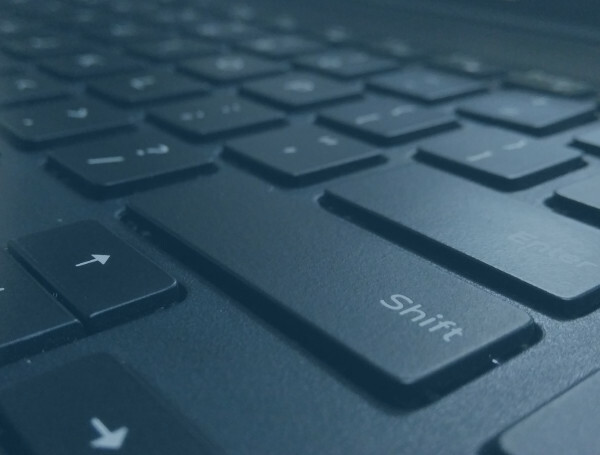 List and explain the available computing technology resources and related terms and their uses and meanings. 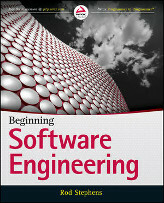 Understand the enhanced analytical and problem solving skills involved in the software development process. History of computers; applications of computer tools and technologies, types of hardware and software; relationships between computers and users; computer applications realted to data processing, web apps, and presentation tools; computer terminology; computing in society; analytical and problem-solving skills involved in the software cevelopment process. 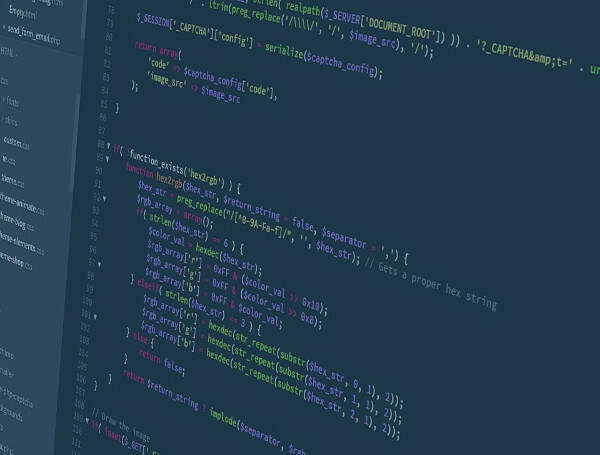 This course will serve as the initial introduction of programming concepts and techniques to non-programmers. 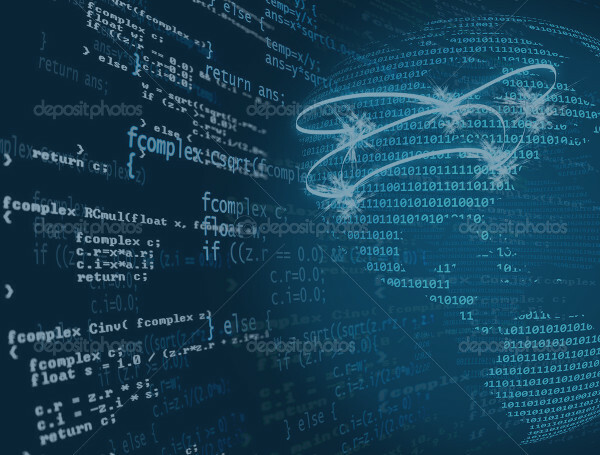 The course will focus on the key concepts common to solving problems by algorithmic thinking, and to the fundamental concepts and techniques common to all high-level programming languages. The course will be taught using a command line version of the Python programming language. Fundamental concept of problem solving - algorithms, hierarchical structure, abstraction; Fundamental Techniques - compilation versus interpretation, data typing, software design, pseudo-code, HIPO charts; Programming concepts - sequential execution, selection, looping, primitive data types, data structures, order of operations. Create programs that show mastery of all the programming fundamental concepts including variables, control structures and data structures. Mid-term and Final exams that test students' familiarity with all important concepts in the class. This course will introduce students to the principles and representations of the different types of data structures. The course includes an examination of arrays, stacks, queues, lists, and trees. 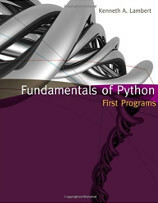 Student will demonstrate understanding of these principles through completion of several programs utilizing Python. 1. 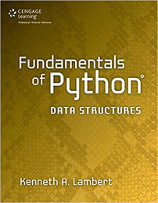 A basic understanding and fundamental use of the python programming language in performing tasks pertaining to various data structures and algorithms. 2. Knowing of aspects of object-oriented programming such as classes, inheritance, interfaces, implementation, and polymorphism. 3. The ability to demonstrate the use of algorithms involved in the creation, access, and modification of data collection and their data structures. basics of the representation and makeup for the structure. 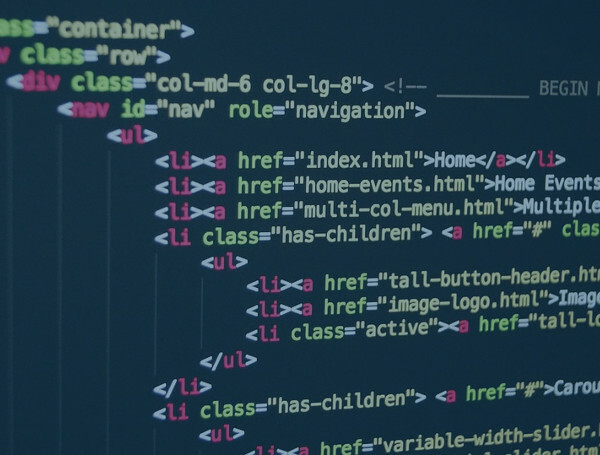 A practical hands-on introduction to the design and development of a Web site, this course introduces students with little or no experience in Web scripting to the concepts, syntax, and structure of xhtml. 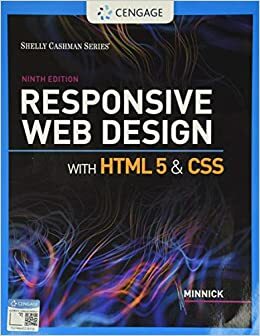 The course will also include an introduction to Cascading Style Sheets (CSS), an important presentation initiative, and Universal Design, the process of incorporating accessible design features into Web pages. 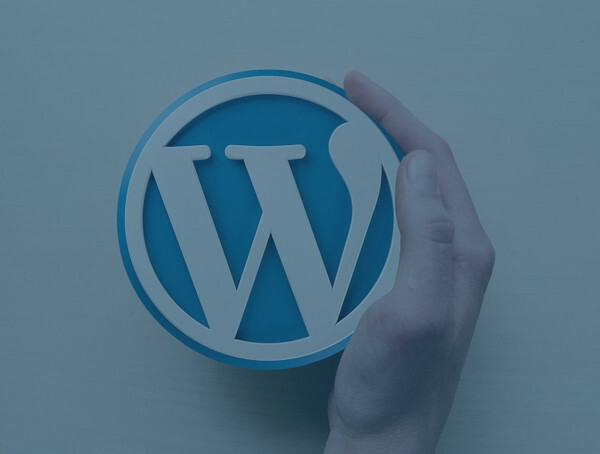 The final project-based assignment will assess the comprehensive process of designing, developing, and publishing a personal or professional site on a Web Server. This course presents the principles of information systems development and demonstrates how they are an integral part of the organizational decision-making process. Through discussions on systems analysis and hands-on lab activities, students obtain a solid background in databases, with a focus on relational database management systems. Automate work by creating templates; recording, editing, and executing macros, and creating custom lists. Data science is the newest trend in the modern world and a signal of a shift in science as we are immersed in the computing age. 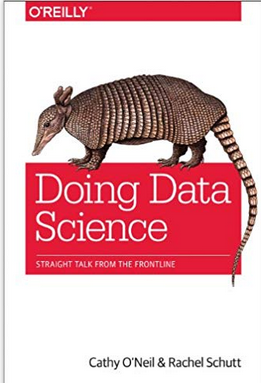 Data science teaches us how to think from the lens of data and apply the scientific method through data. 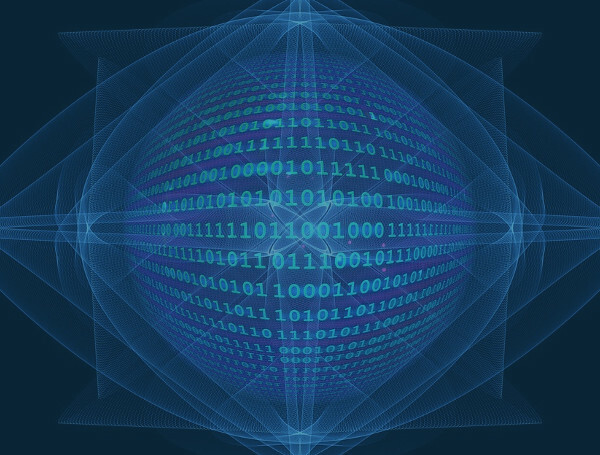 This survey course is designed to give students a sweeping perspective of the elements of data science and how that field impacts the modern world and will continue to impact the future. Any 100 level CIS course or HON/INT 208. The nature of interdisciplinarity; the five V’s of big data; sensor technologies; cognitive computing; internet of things; databases and SQL; practical statistical interpretation and diagnosis; principles of uncertainty; data cleaning; spatio-temporal information; neuroscience of visualization; visualization as a communicatory device; problem solving outside the box; algorithms and data structures to facilitate data science; semi-structured data; data mining; ethics and laws surrounding data science. 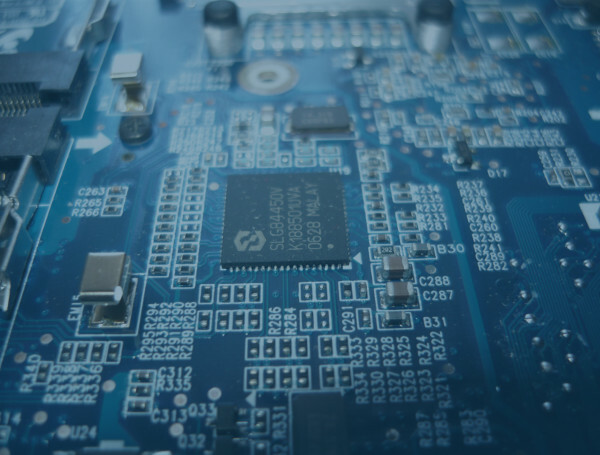 In this introductory programming concepts course, students will gain an understanding of logic, flow control, and object-oriented structures as well as hands-on experience in developing interfaces, objects, and controls using a variety of design approaches. 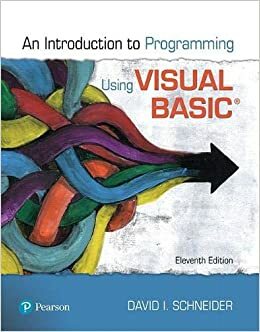 Visual Basic introduces and applies concepts of object-oriented, event-driven, structured programming to create end-user mobile, Web, office, and database applications. Program Design, VB.NET Integrated Development, VB Object-oriented Programming, Documentation, Programming Structures, Validation, Database Programming, and Web Applications. The course is an introduction to Object Oriented programming Paradigms using the Java programming language. 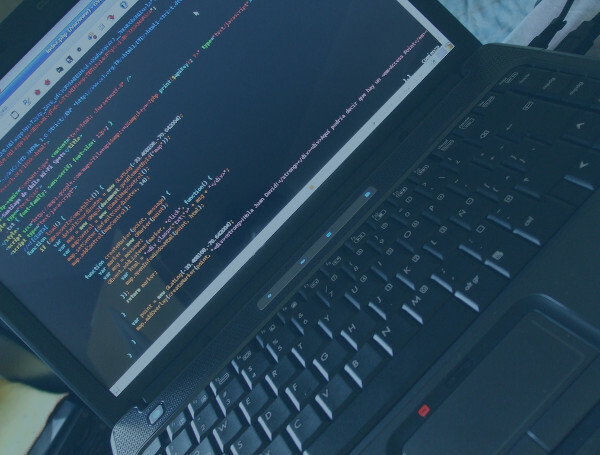 This course will explore programming topics such as Objects, Classes, fundamental data types, Control Structures, Graphical User Interfaces, and array processing. Students will be assigned programming projects in Java designed to explore the features of good object oriented design and implementation. The introduction to the Java Programming language includes the study of; variables, data types, control structures and array processing. GUI programming with applications and applets and Object Oriented concepts such as user-defined data types, encapsulation, and inheritance and polymorphism are presented. This course is intended to introduce and develop usage of SQL, the gold-standard for database query languages. The course will start with the basic foundation of relational databases as a springboard for learning the ins and outs of querying with SQL. Students will learn to execute and design simple queries, joins, set theory, and be exposed to other dialects of SQL that extend its utility. This course provides in-depth coverage of computer, network and operating systems principles found in computing systems. 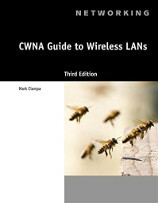 Topics include systems architecture for single-user, central and networked computer systems; and structure of single and multi-user operating systems. Building the working vocabulary of hardware terminology and identify relationship/difference between hardware and software terminology. Laboratory component is included. The course is supported with detailed web lectures materials and intensive review and practice testing as a learning tool. Introducing the hardware and system software, How Hardware and Software Work Together, Understanding the Boot Process and Command Line, Managing Memory, Understanding and Installing Hard Drives, Optimizing and Protecting Hard Drives, Supporting I/O Devices, Multimedia Devices and Mass Storage, Understanding, Installing, Managing and Troubleshooting Windows type Operation Systems and Network Operating Systems, PCs on a Network, PCs on the Internet, Hardware and Software Security, Legal Issues. This course supports the capabilities and knowledge expected for IS program graduates. Discuss the functions and interactions of all PC subsystems. Select quality PCs and constituent components based on performance and cost. 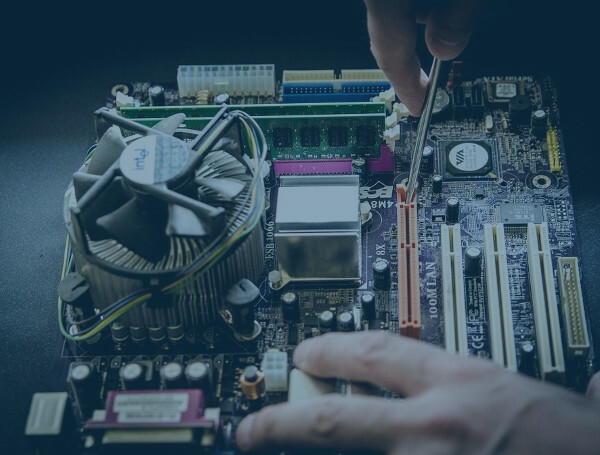 Install, replace, and upgrade PC hardware components. Understand and identify the challenges faced by IT professionals (IT professional code of ethics). Be familiar with existing hardware and software copyright laws, and computer crimes. Regular Practice and Review Tests for each chapter readings as a learning tool, Midterm and Final exam, Individual Research and Oral Presentation, Group Semester and Final Projects. This course introduces students to the Unix operating system. The course covers a number of application programs that have come to be part of Unix, including editors, electronic mail processing programs, and message-passing programs. An introduction to Unix system administration, including process and user management, will be presented. Students will work with Unix in a multi-user computer environment. 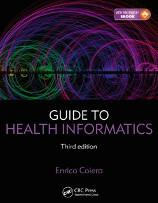 This course will provide students with a survey of topics in the health informatics area. Examining computer‘s emerging roles in the delivery, management and analysis of health care, and how it impacts all stakeholders in the healthcare arena. 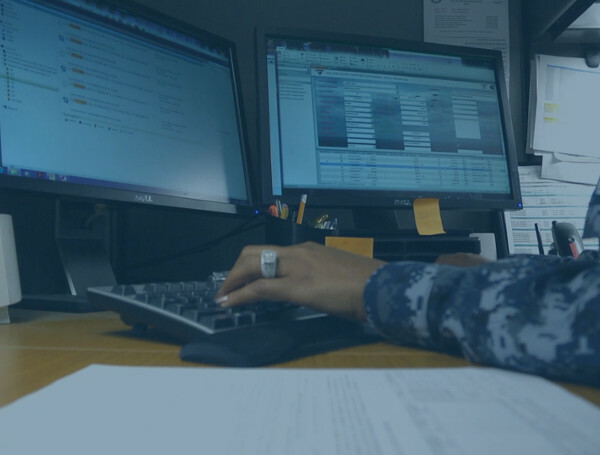 Competency skill sets include: Analytic/Assessment of medical information (both spatial and non-spatial) Systems Analysis and modeling and Project Management. Analytic assessment of medical information (spatial and non-spatial), Systems Analysis and Modeling, and Project Management. 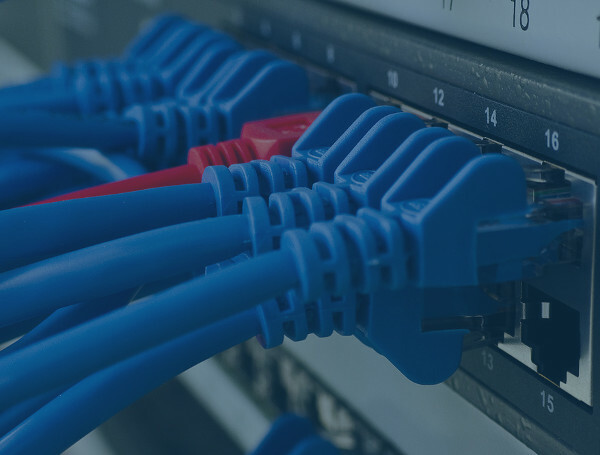 This course presents current coverage of networking hardware and software, along with the skills necessary to succeed in the dynamic field of networking. 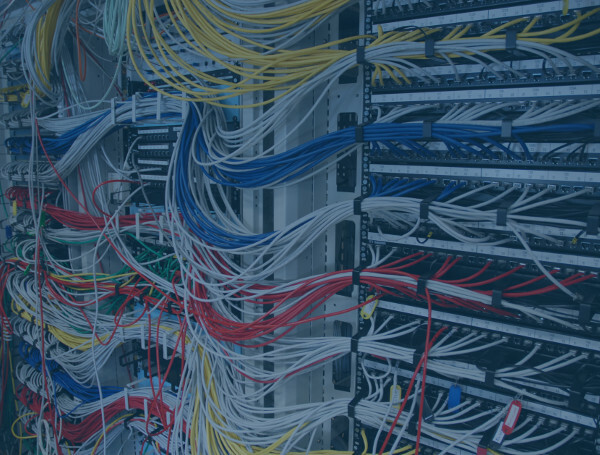 This course is introductory, with thorough explanations of networking fundamentals, such as protocols, network design and implementation, and troubleshooting and support. 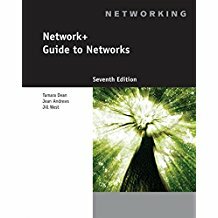 Building the working vocabulary of networking terminology and identify relationship/difference between the wide variety of existing networking protocols and topologies. Laboratory and Practicum component is included. The course is supported with detailed web lectures materials and sited external readings for novel practices and ideas. 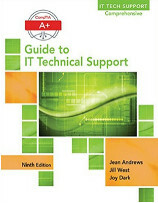 Intensive review and practice testing as a learning tool is included for each chapter readings. 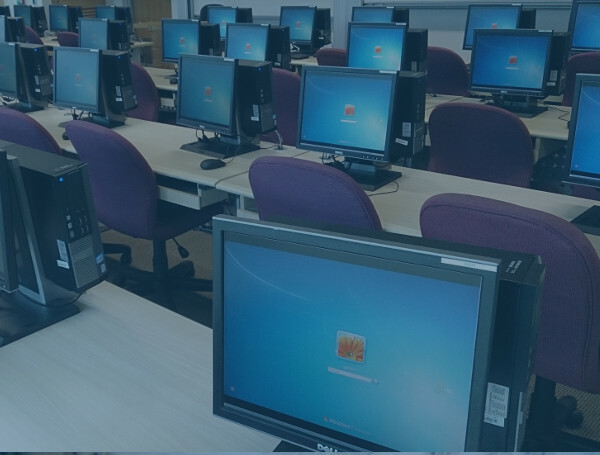 The course will focus on local area network management, specifically on administrative responsibilities and strategies, which range from selecting and installing LAN hardware and software to designing backup and recovery options. This course will not focus on the specifics of system administration tasks for a particular network operating system. 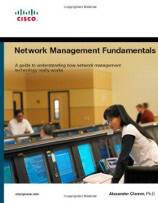 Explain the importance of network management and how it impacts cost, revenue, and network availability as well as the challenges imposed by network management. Describe the types of tasks and management tools involved in the day-to-day operations. Explain what Management Information Bases (MIBs) are and how they are related to management agents, and managed devices. Describe the established functional reference model, FCAPS and an alternate reference model OAM&P. Understand how design as a software engineering discipline can be applied to the modeling of information management. Explain the different layers that a management interface can be decomposed into. Explain the use of SNMP, Netflow, IPFIX, and Netconf. Understand the different techniques and challenges for implementing different styles on management and for mediating different management interfaces. Describe the approaches that can help reduce the complexity of management tasks. Understand the components of service level agreements and how SLAs are defined. This course provides the skills and knowledge necessary to implement a core Windows server infrastructure in an enterprise environment. 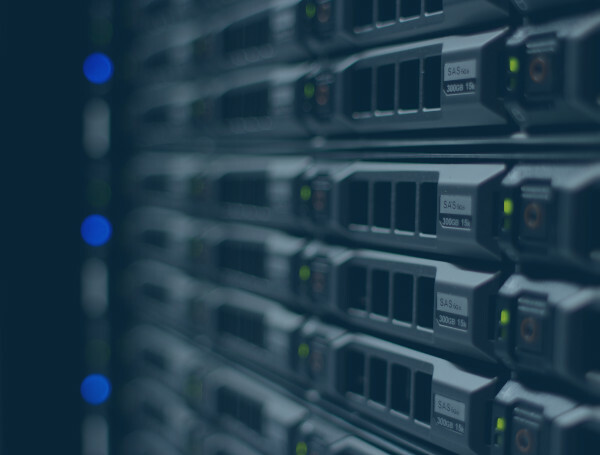 This course provides students with hands-on experience implementing, managing, and maintaining a Windows server environment by providing the skills and knowledge to perform advanced management and provisioning of services. Configure advanced features for Dynamic Host Configuration Protocol (DHCP with windows server. Configure advanced features for Domain Name System ((DNS) with windows server. Configure IP Address Management (IPAM) with windows server. This course covers theoretical and practical informatiion related to planning, designing, installing and configuring wireless LANs. The course provides in-depth coverage of wireless networks with extensive coerage of IEEE 802.1 1b/a/g/n implementation, design, security, and troubleshooting. 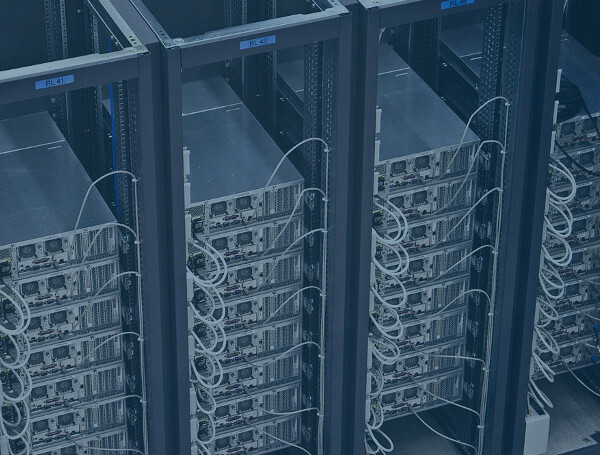 This course focuses on the tasks required to administer Linux servers in an enterprise environment. The course examines enterprise Linux including file systems and partitioning, logical volumes, security enhance Linux (SELinux), firewall implementation, virtualization, enterprise Linux troubleshooting. Labs will provide comprehensive, hands-on training that solves real world problems. Participants will explore Web page development from the planning and design stage through site publications. Students will incorporate end-user analysis and profiling to design a site the meets the expectations of the target audience. Students will review current design specifications to create sites that follow the Web 2.0, Web 3.0, etc. standards. Students will utilize an open source graphics editor that specializes in readying text and graphics for use on the web. 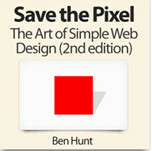 Web design principles (Web 2.0), graphic elements (text effects, badges, icons, buttons, animation, banners, and menus), design strategies (fixed or liquid layouts), gradient backgrounds, drop-down menus, and sticky footers. This course is an introduction to relational database design and structured query language. The student will learn the principles of database design to include database modeling, normalization through 3rd Normal Form and then will learn basic ANSI Standard Structured Query language to interface with a database. Application interface to the database will be demonstrated. The CIS280 Internship Experience is an elective information technology (IT) offering at the associate-degree level that provides the student with an opportunity to build a professional portfolio of relevant work experience. With the guidance of an organizational mentor, students will develop a significant IT project that applies appropriate information technology skills in hardware/networking, database design and development, programming, or client- and server-side Web scripting. The student is expected to take the CIS280 Internship Experience after completing the core CIS associate-degree requirements and at least one programming language (CIS212, CIS214, CIS215, or CIS216) or a Web design and development course. 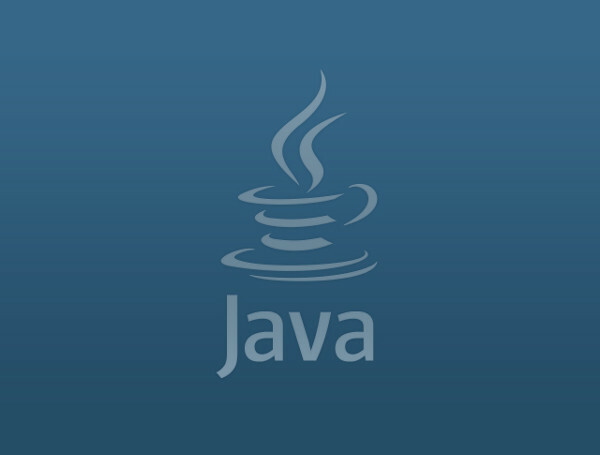 This course will provide students with advanced knowledge of the Java programming language. The course will first concentrate on advanced principles such as events, exception handling, inheritance, interfaces, and inner classes exploring some advanced JDK libraries. 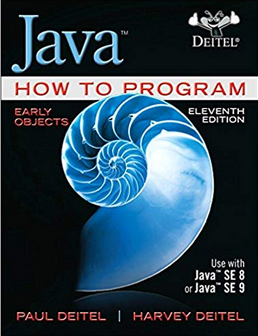 The advanced class of the Java Programming language includes the study of exception handling, GUI components, strings, recursion, search and sort, applets, multithreading, and networking. Homework/Lab assignments, midterm exam, final exam, and class participation. 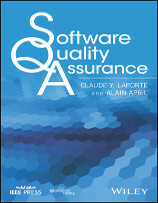 Software Quality Assurance consists of monitoring the software engineering processes and methods used to ensure quality. This course surveys the methods and tools for accomplishing this task. The course also examines how configuration and build management are involved in producing professional software. This course will be divided into three modules, along the lines of the divisions shown in the course topics section, above. The topics listed will be the subject of a single week's activities including a reading assignment and either a quiz or a homework assignment. A mid-term, following the testing module, and final examination covering all the topics in the class will evaluate the student's success against the learning outcomes. This course provides a study of the methods used in analyzing needs for information and in specifying requirements for an application program. 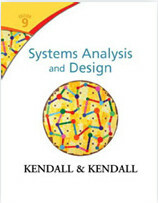 Topics covered include the concept of system life-cycle, the iterative nature of the process of analysis and design, and the traditional and object-oriented methodology for developing a logical specification for a system. Understand the types of business needs that can be addressed using information technology-based solutions. Clearly define problems, opportunities, or mandates that initiate projects. Use at least one specific methodology for analyzing a business situation (a problem or opportunity), modeling it using a formal technique, and specifying requirements for a system that enables a productive change in a way the business is conducted. 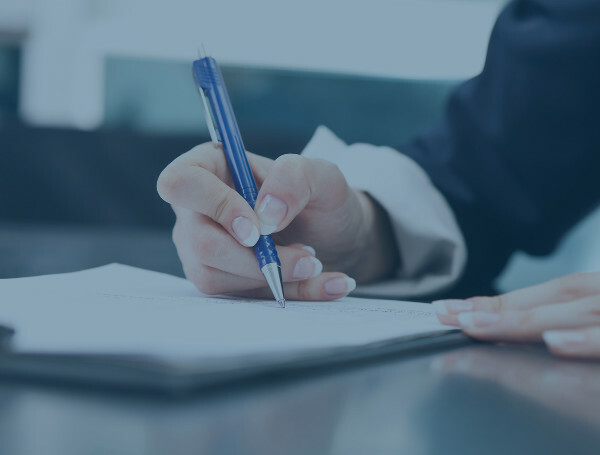 Within the context of the methodologies they learn, write clear and concise business requirements documents and convert them into technical specifications. Communicate effectively with various organizational stakeholders to collect information using a variety of techniques and to convey proposed solution characteristics to them. 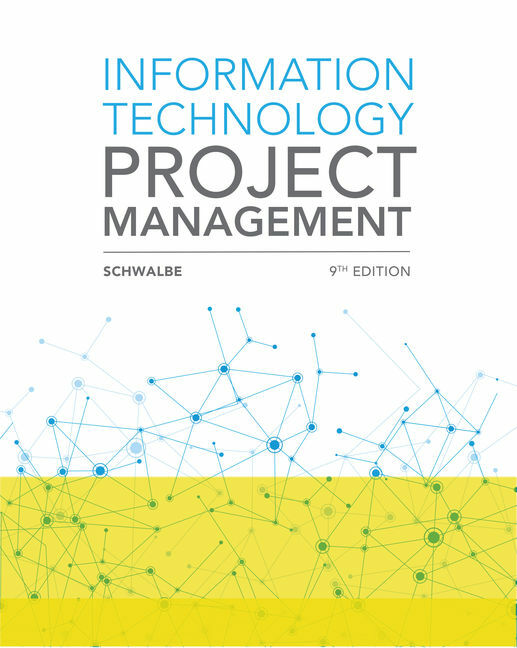 Manage information systems projects using formal project management methods. Articulate various systems acquisition alternatives, including the use of packaged systems (such as ERP, CRM, SCM, etc.) 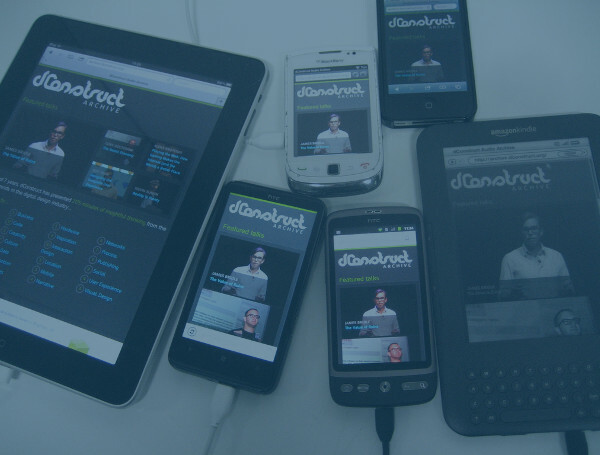 and outsourced design and development resources. Use contemporary CASE tools for the use in process and data modeling. Incorporate principles leading to high levels of security and user experience from the beginning of the systems development process. Design high-level logical system characteristics (user interface design, design of data and information requirements). Analyze and articulate ethical, cultural, and legal issues and their feasibilities among alternative solutions. This hands-on PHP Programming course is designed to provide the student with a theoretical foundation and applied skills required to use PHP as a Web publishing and data management tool. 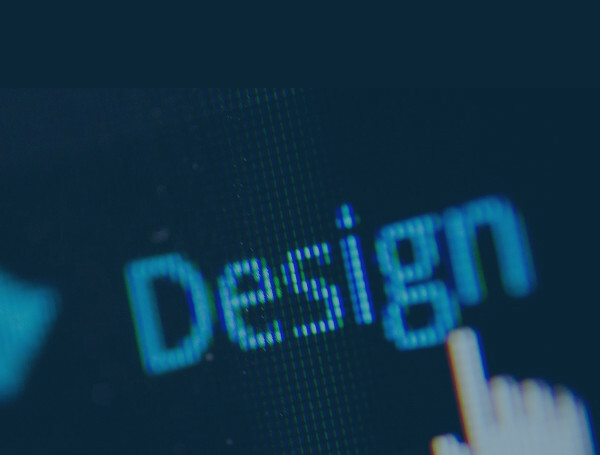 An integrated approach to Web development ties it to the (X)HTML and CSS environments and establishes PHPs place in the Web Development process. 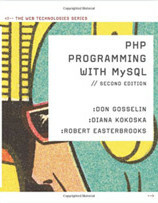 Functional examples and comprehensive hands-on lab activities will reinforce the concepts presented and will demonstrate how MySQL goes hand in hand with PHP to establish database connectivity and interactivity. This course is a continuation of CIS333 PHP. 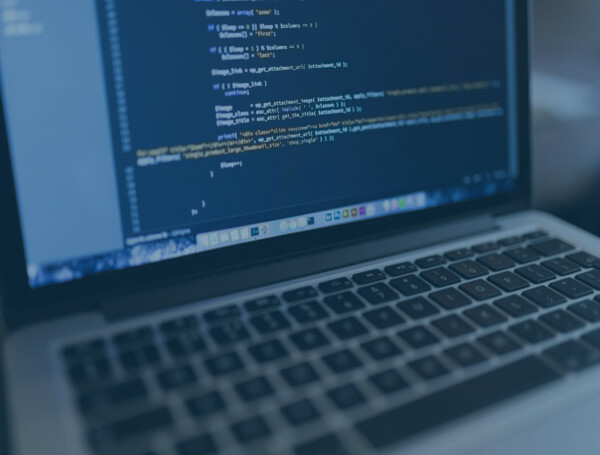 The integration of the PHP programming language with MySQL database technology enables PHP developers to build database-enabled Web applications. 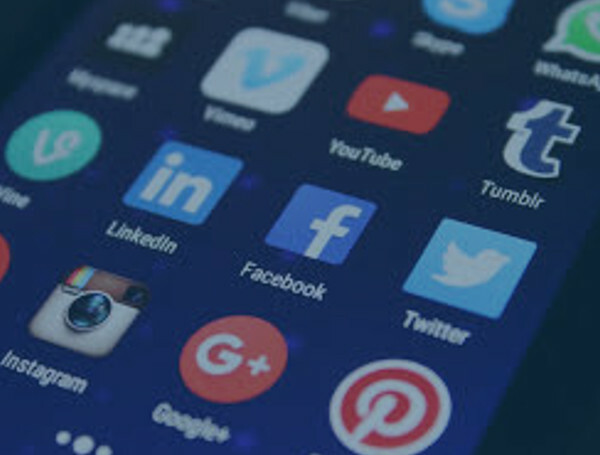 During the course, students will walk through the development of a complete social media site, learning to write secure scripts that allow visitors to add information and dynamically display filtered data from a MySQL database. Students will learn about state information and be introduced to object-oriented PHP. Static and dynamic Web development; client-side development environments; database management with phpMyAdmin; database design and development; SQL queries to add, retrieve, change and remove data from a table; transfer database to production server; account privileges, dynamic Web forms, security measures, state information, and object-oriented PHP. Interpret and debug common PHP error messages. Comprehension Checks, Reinforcement Exercises, Discovery Projects, and an Applied Final Project. This course will survey the most popular Content Management Systems (CMS) and provide practical experience in two of the most commonly used systems (Drupal, and WordPress). Through PowerPoint presentations, discussion boards, and hands-on application training, the student will be introduced to the essential concepts of content management on the Web and learn to use some free tools related to Web content management (FileZilla®, GIMP®, WinGrep®) from an applied perspective. Students will design and develop an ongoing Web site in the applied activities and an individual site in which the student applies the newly acquired concepts. Students will be assigned a server and database account on the UMA server. Learning activities (demo site), application (individual site), research assignments, and discussion board. 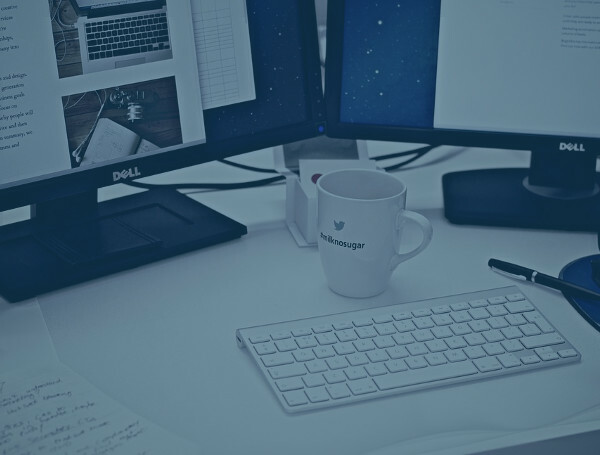 This course surveys both client-side and server-side Web application frameworks, such as Twitter Bootstrap and Angular JS as well as other tools that help streamline the front-end development process. Students research contemporary Web technologies and discuss relevant Web design and development topics. Step-by-step instructions are provided to develop a site in one specific framework (to be announced on a semester-by-semester basis). 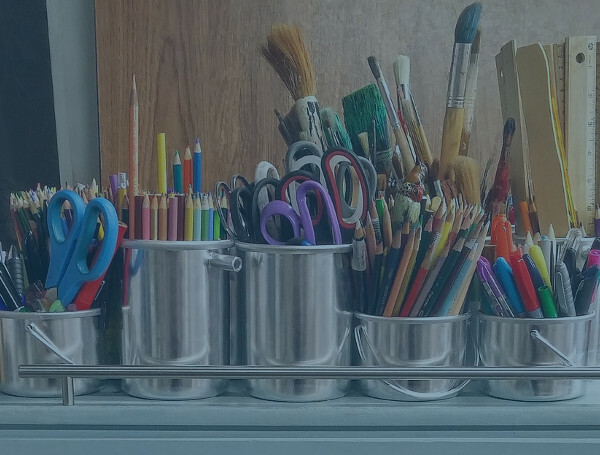 In addition to the demonstration site, students will plan an individual topic-based site and develop it using the framework explored in the class. 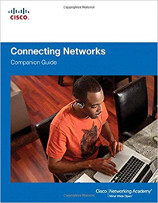 This course provides introduces the students more advanced networking concepts. Students will examine network infrastructure design, advanced router configuration, analyzing data traffic, Internet routing, routing protocols, IPv6, and Voice over IP. 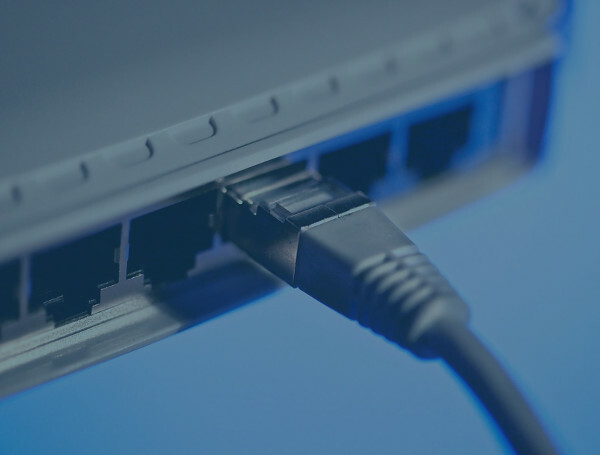 There have been many popular network protocols, such as Apple's AppleTalk, Novell's IPX, and Microsoft's SMB, but with the explosive growth of the Internet, one protocol suite has become the standard: TCP/IP. This form of communication has become so popular that most software companies have integrated it as the core protocol in their software over their own proprietary standards. 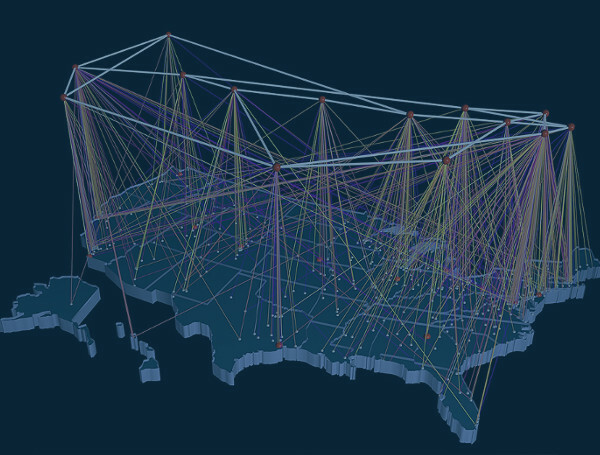 The ability to implement and troubleshoot TCP/IP over complex networks has become increasingly more important as small networks become part of the global network known as the Internet. 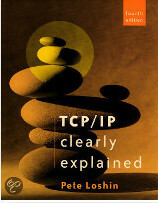 This course will focus on the fundamental concepts behind TCP/IP. The course will also familiarize students with the concepts needed to move a Local Area Network into the world of Wide Area Networks, using core technologies such as routing and proxies. Hands on work with network simulators will provide the time to practice and troubleshoot. Learn some common tools for testing, analyzing, managing and troubleshooting networks. 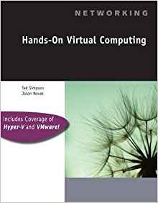 This course provides students with a background in virtualization technology needed to advance in today's technology workplace. 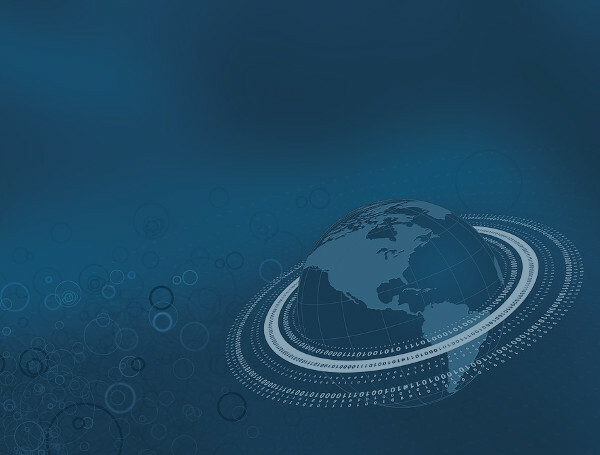 The course includes an overview of virtualization technology and the techniques necessary to make virtualization work in an enterprise environment. The course will focus on using virtualization software in networked server environments and include building virtual networks, implementing high-availability clusters, enhancing performance and security. This course covers the implementation of information systems through database design and use of a database management system. 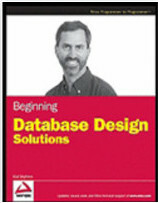 Methodologies for database design and issues related to database administration are also covered. The course examines database models, such as the relational, entity-relationship and object-oriented database models, as well as how to administer shared data with an emphasis on requirements and methodologies for ensuring data integrity and security in healthcare enterprise information systems. Understand the role of databases and database management systems in managing organizational data and information. 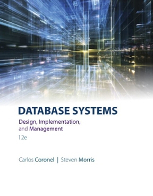 Understand the historical development of database management systems and logical data models. 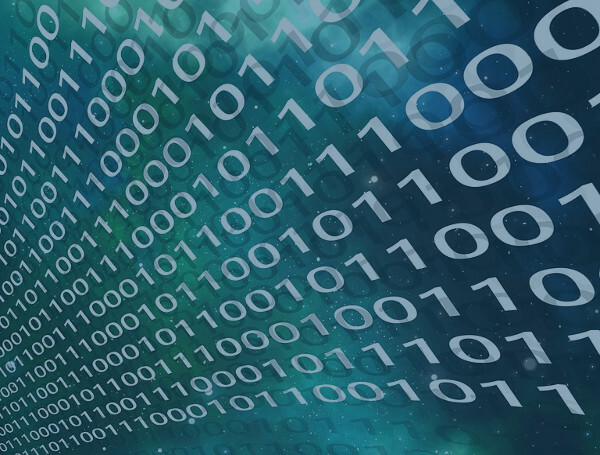 Understand the basics of how data is physically stored and accessed. Understand the fundamentals of the basic file organization techniques. Use entity-relationship modeling to capture the information requirements for an enterprise domain. Understand the purpose and principles of normalizing a relational database structure. Design a relational database so that it is at least in 3NF. Implement a relational database design using a relational database management system, including the principles of data type selection and indexing. 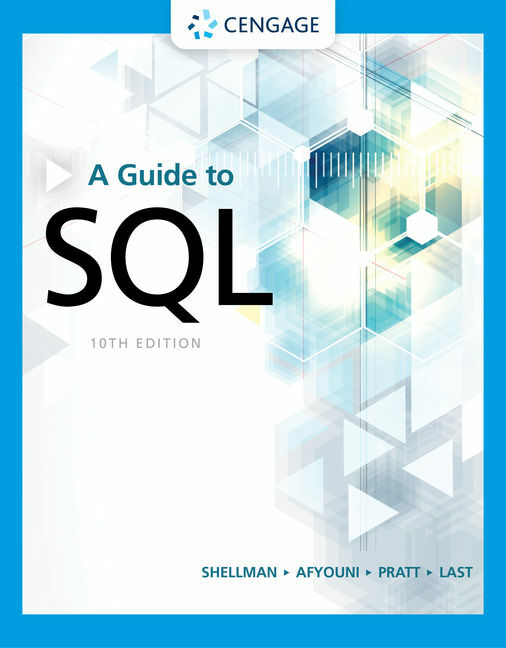 Use the data definition, data manipulation, and data control language components of SQL in the context of one widely used implementation of the language. Understand the basic mechanisms for accessing relational databases from various types of application development environments. Perform simple database administration tasks. Understand the role of databases and database management systems in the context of enterprise systems. 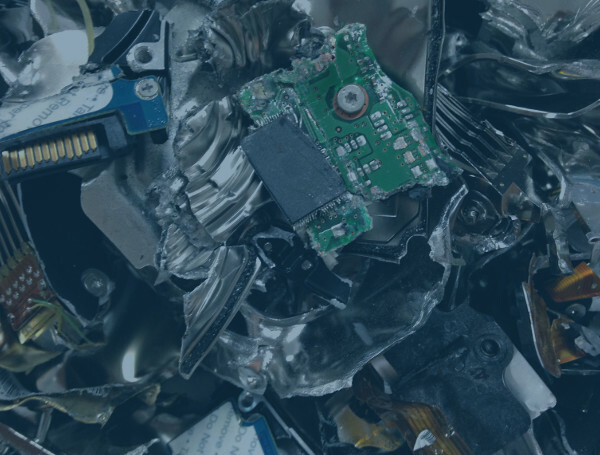 Understand the key principles of data security and identify data security risk and violations in data management system design. 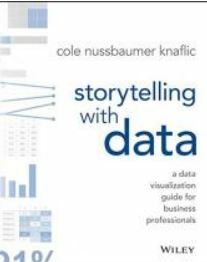 Understand the core concepts of data quality and their application in an organizational context. Understand the difference between on-line transaction processing (OLTP) and online analytic processing (OLAP), and the relationship between these concepts and business intelligence, data warehousing and data mining. This is an upper-level management information systems course that focuses on using Oracle's database and applications development utilities. The use of Structured Query Language to obtain information from data is emphasized throughout this course. 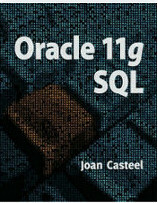 Additionally, the student is introduced to Oracle’s database programming language – PLSQL. This course assumes that the student has background with the database relational model and clearly understands basic database structure. This course follows a step-by-step introduction to the topics concerning database concepts, basic SQL SELECT statements, table creation and management, constraints, data manipulation and transaction control, additional database objects, user creation and management, restricting rows and sorting data, joining data from multiple tables, selected single-row functions, group functions, subqueries, data merges, and views. 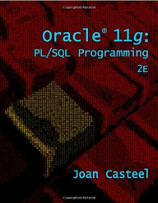 Selected topics in Oracle’s PLSQL programming language are included also. 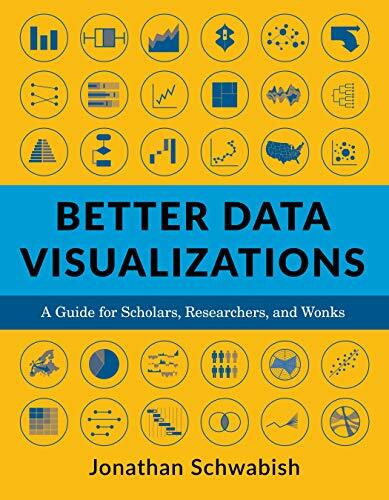 The use of visualization techniques to aid understanding, analyze complex data, and inform important decisions is increasingly employed by many disciplines. This course will cover how to best represent different sets of data through understanding human perception, careful analysis of data types, creation of visual representation techniques, and evaluation of information in its visualized format for cognitive understanding and implied meaning. Students will engage in visualization creation using different data sets, implementation protocols and techniques to create basic presentations to more complex data visualizations. Data representation, human-computer interaction, implementation protocols, interaction frameworks, and visualization critiques. Midterm, Project/Labs, Homework/Readings, Class Participation, Final Exam. 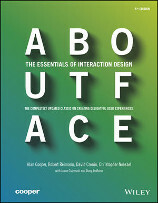 Human computer interaction is the study of how a user interacts with a computer, leading to important aspects of functional design. In this course, we focus on issues of sensory perception from the audio, visual, and tactile channels as well as the interaction of these concepts with the world of computing. This course is required of all students in the software development and web development concentrations. This course studies abstract data types and their use in large software systems, such as an operator system or compiler. Specification, implementation, use and computational characteristics of data structures such as stacks, queues, trees and graphs are covered. Recurring concepts of computer science “such as efficiency, levels of abstraction, reuse and trade-off” are stressed throughout. In the laboratory component, students implement and use data structures to solve a variety of problems in information systems. Using the C++ programming language, students will gain experience in creating programs that deal with abstract data types. Topics will include Recursion; Templates, vectors and stacks; Binary search trees; Linked lists; Graphs and weighted graphs; AVL and Splay trees. 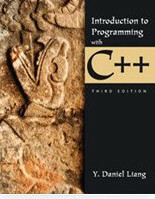 gain experience using a number of advanced techniques in the C++ programming language, including: Dynamic memory allocation, Pointers, Exception handling, and the Standard Template Library. Six hands-on programs, written assignments, midterm, and final exam. Sensors are one of the foundational drivers of the proliferation of big data in the modern world. 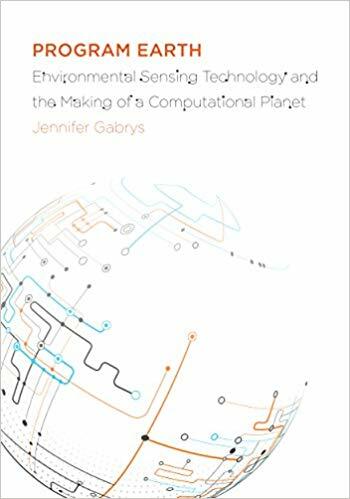 Sensors help us to monitor our environment, augment our existing bodily sensors, and set the stage for interpretation of data through informatics. Students will be introduced to theories of measurement, types of sensing devices, the basics of physics and chemistry, and the notion of uncertainty. Students will complete hands-on projects utilizing an Arduino sensor platform. Students will be introduced to what a GIS is, working with spatial data as compared to other database systems, and how GIS can be a valuable tool to decision makers. Students will also gain hands-on experience with ArcGIS software. Students will explore such topics as spatial data, hardware and software, processing and analyzing spatial data, cartography and presentation of spatial data, and issues affecting data quality. 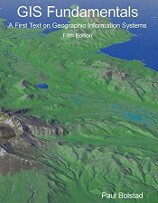 This class will include lectures and practical work with GIS software. Students will be required to complete several lab assignments and a final project. The CIS380 Internship Experience is a required information technology (IT) offering at the bachelor-degree level that provides the student with an opportunity to build a professional portfolio of relevant work experience. With the guidance of an organizational mentor, students will develop a significant IT project that applies appropriate information technology skills in hardware/networking, database design and development, programming, or client- and server-side Web scripting. 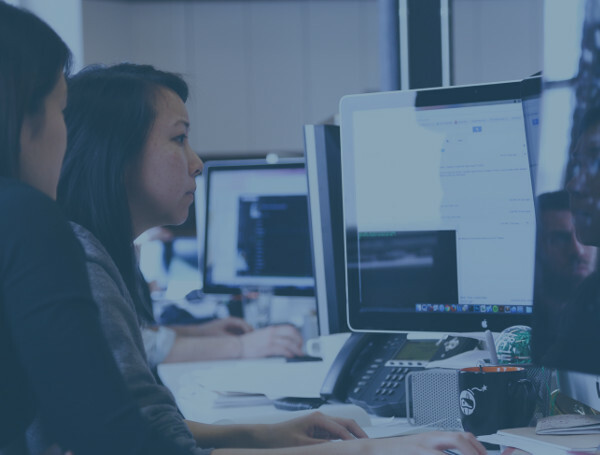 This course provides an opportunity for students to practice key elements of the software development life cycle while working as part of a team of developers. Students will become familiar with the key deliverables, processes and reviews that comprise a large software development effort. 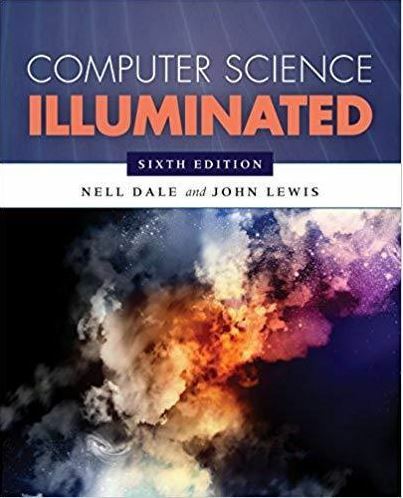 Algorithms, structured programming, expression evaluation, information coding, computer operations, software, networking, the object-based paradigm, the relational model, the information systems development life cycle, and human and organizational factors in information systems. Project homework, deliverable document, in-class presentations. CIS438 Electronic Commerce satisfies the CIS300- / CIS400-level IT elective in the Bachelor of Science in Computer Information Systems. Students will form a Web Development Team (with a maximum of four members) that will spend the semester developing a Web presence (including an e‑commerce component) for a real or pseudo business. Individual team members should have complementary skills in Project Management, Site Building, Content Management, and Graphic Design. Skills will be self-assessed using a rating form before the Web Development Teams are formed. The open-source Content Management System (Drupal) with the Ubercart plugin will be used for the shopping cart component. To select a real or pseudo client with a product or service that lends itself well to marketing and distribution in an online shopping environment. To create a storyboard to define the relationship among individual pages in the gateway Web site. The course provides an in-depth look at network defense concepts and techniques. This course examines theoretical concepts of secure network design and provides methodology for creating a secure network defense will a practical, hands-on approach. Topics include firewalls, intrusion detection methods, wireless security methods, VPNs, and perimeter security fundamentals. Implement firewalls to prevent specific IP’s or ports from traversing the firewall. Weekly homework, discussion questions, midterm, final exam, and final project. This course introduces powerful PHP programming techniques using object-oriented programming (OOP). Both novice and experienced PHP developers will benefit from the efficient, well-organized, reusable, and easy-to-understand code that OOP offers. Discussions on how OOP techniques can streamline database queries, help manage sessions, and simplify user logins are covered. While building a real-world web application, practical advice on topics ranging from structuring code to logging user actions are covered. Defining and using classes, methods, and attributes; understanding class inheritance and access modifiers; working with MySQL databases using an object-oriented approach; PHP design patterns; dependency management. Define a PHP class including methods and attributes. Instantiate and use class objects. Demonstrate an understanding of static classes, methods, and attributes. Implement class inheritance and explain what value inheritance brings to developers. Utilize access modifiers and provide use cases for each. Use an object-oriented approach to access a MySQL database. Demonstrate a basic understanding of common PHP design patterns. Use a dependency manager in a PHP application project. Weekly assignments, weekly quizzes, midterm project, and final project. This course is intended to introduce students to R, an open-source and evolving programming language for applied scientific pursuits, most notably data science, bioinformatics, spatial informatics, and business analytics. This course will cover the basics of using R, elementary data structures within R, accessing and writing functions, scripts, and libraries, and also beginner aspects of data visualization, geospatial analysis, interfacing with SQL, twitter analysis, network analysis, and package writing. (This course is cross-listed with BUA 450) This course in data mining techniques is designed for both computer information systems majors and business administration majors. In this course, students will explore and analyze data to support business intelligence applications. Methods used include cluster analysis, decision trees, classification of data estimation, and prediction and association techniques. 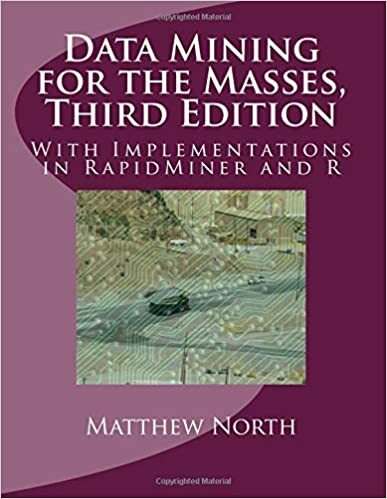 The goal of data mining is to take data and convert collected data into information readily usable by business managers to determine buying behavior, fraud detection, database marketing, market-basket analysis and information management. 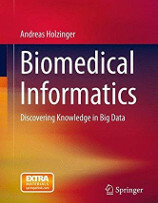 Supervised Learning, Learning from Experience, Representation Knowledge, Decision Trees, Production Rules, Unsupervised Learning, Market Basket Analysis, Classification, Estimation and Prediction, Cluster Analysis, Anomaly Detection, Logistic Regression, Confidence and Support, Genetic Algorithms, WEKA, Data Pre-processing, Data Transformation, Data Normalization, Attribute & Parameter Evaluation, Data Modeling and Normatilization, Data Warehouse Design, Star Schema, OLAP, Feed-forward Neural Nets, Unsupervised Clustering, Kohonen Self-organizing Maps. 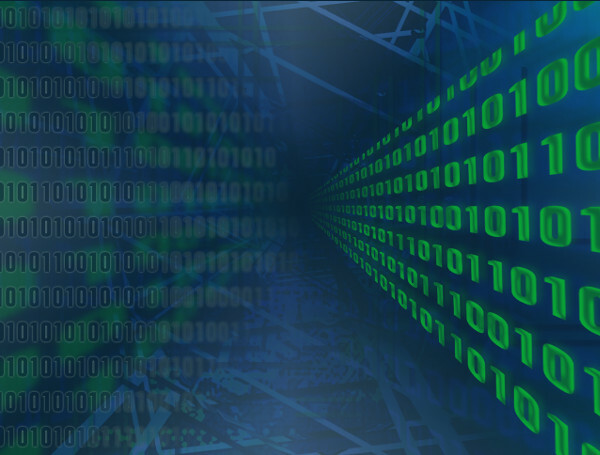 Be familiar with the primary techniques used in analysis of Big Data and be able to employ those techniques to generate analyses of that data. The course will be divided into five modules, along the lines of the divisions shown in the course topics section, above. For each module there will be a homework assignment, working with the algorithm being discussed and a quiz on the topics relevant to that module. A final examination covering all the topics in the class will evaluate student’s success against the learning outcomes. This course is designed to provide a working introduction to PL/SQL programming within the Oracle RDBMS environment. The course begins with an introduction to the PL/SQL language fundamentals of block program structure, variables, cursors, and exceptions. 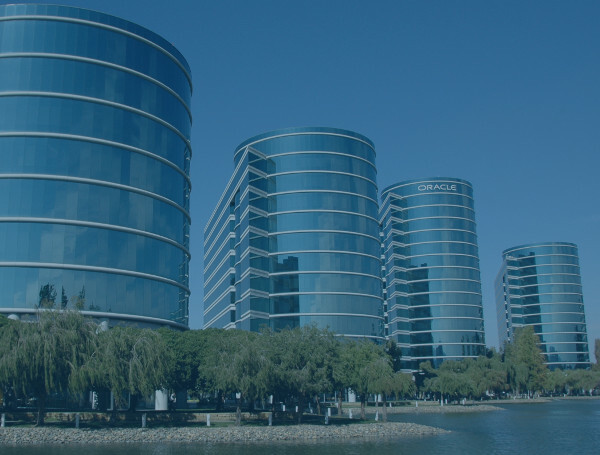 The remainder of the course covers creating program units including procedures, functions, triggers and packages, Oracle-supplied packages, SQL*Loader, dynamic SQL, and object technology. Case study from start to end and programming assignments. 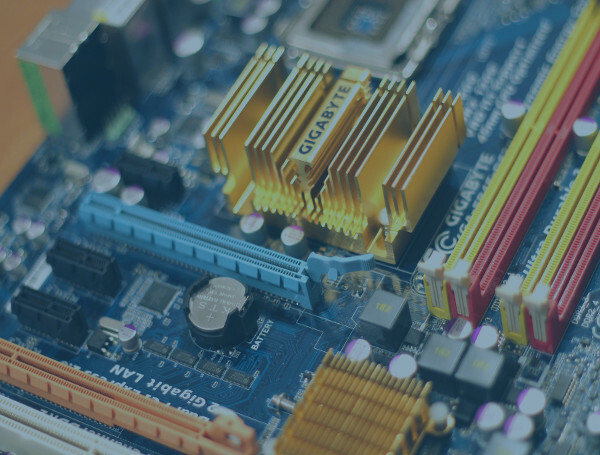 This course explores the philosophical, social, and economic impact of computing on culture, and examines ethical and professional policy issues. 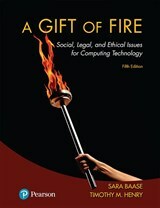 History of computing in the context of human problem solving; uses, misuses, and limits of computer technology; risks and liabilities; intellectual property; national and international public policy issues; human factors, and human-machine interaction. Attendance, class participation, homework, final project, midterm, and final exam. CIS 470 is a course in project management that applies project management methodologies and principles to the information systems development arena. Project management is a management sub-discipline. It is concerned with the processes of initiating, planning, executing, controlling and closing a project in order to meet a project’s goal(s). Integration of projects/information systems with organizational goals, planning, and budgeting is covered. 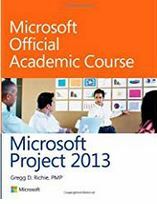 The course uses Microsoft’s Project Management 2010 software. The course examines the nine knowledge areas of project management including project integration, scope, time, cost, quality, human resource, communications, risk, and procurement. 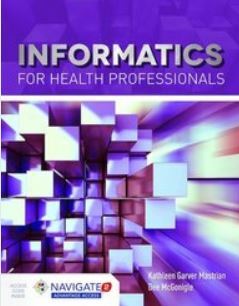 This course is designated as the capstone health informatics course. This course will provide students with an in-depth survey of topics in the health informatics area that was presented in the first course. 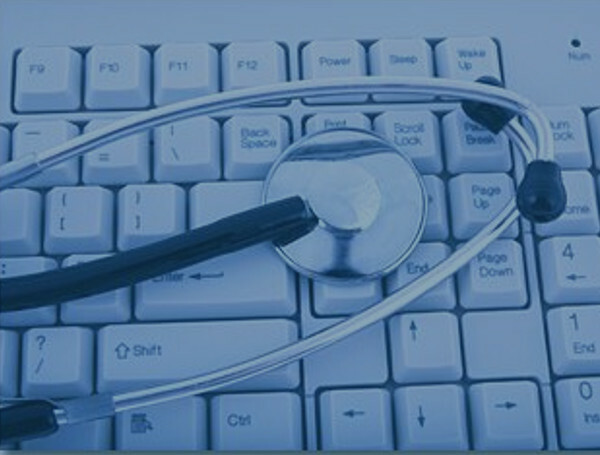 Examining computer’s emerging roles in the delivery of health care, and how it impacts all stakeholders in the healthcare arena. Advanced Analytic Assessment, Policy Development/Program Planning, Standards, Cultural Competency, Community Dimensions of Practice, Ethics, Advanced Leadership and Systems Thinking. Attendance/Class Participation, Homework, Final Paper/Project, Midterm, Final Exam. The CIS480 Internship Experience is a required information technology (IT) offering at the bachelor-degree level that provides the student with an opportunity to build a professional portfolio of relevant work experience. The CIS480 Internship Experience is typically a continuation of the 300-level internship that requires a significant amount of independent research and a higher level of responsibility. A CIS Internship Experience that is extended over two semesters may be designated as a CIS380 the first semester and a CIS480 during the second semester if the level of responsibility, application of IT skills, and independent research is significantly increased. Digital forensics profession; investigators office and lab; data collection; crime scenes; computer forensic tools; boot processes for multiple platforms; graphic files, virtual and cloud machines; network forensics; email investigations, cell and mobile device invetigations; report, testimony, and ethics for expert witnesses. 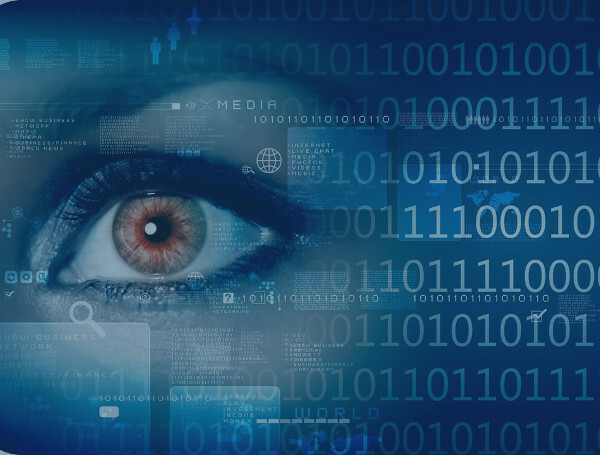 Understanding the Digital Forensics Profession and Investigations. The Investigator’s Office and Laboratory. Processing Crime and Incident Scenes. Working with Windows and CLI Systems. Macintosh and Linux Boot Processes and File Systems. Computer Forensics Analysis and Validation. Virtual Machine and Cloud Forensics. Live Acquisitions and Network Forensics. Report Writing for High Tech Investigations. 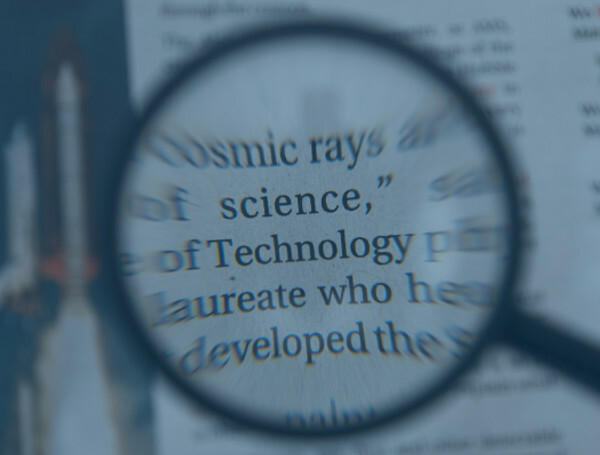 Expert Testimony in High Tech Investigations. The course includes a discussion on security policies that can be used to help protect and maintain a network, such as password policy, e-mail policy and Internet policy. The course includes how to create a compliance program within an organization to monitor polices. The issues include organizational behavior and crisis management. Identify the role of an information systems security (ISS) policy framework in overcoming business challenges. Analyze how security policies help mitigate risks and support business processes in various domains in the information technology (IT) infrastructure. Describe the components and basic requirements for creating a security policy framework. Describe the different methods, roles, responsibilities, and accountabilities of personnel, along with the governance and compliance of security policy framework. Describe the different ISS policies associated with the user domain. Describe the different ISS policies associated with the IT infrastructure. Describe the different ISS policies associated with risk management. Describe the different ISS policies associated with incident response teams (IRT). Describe different issues related to implementing and enforcing ISS policies. This course provides an overview of security challenges and strategies of countermeasure in the information systems environment. Topics include definition of terms, concepts, elements, and goals incorporating industry standards and practices with a focus on availability, vulnerability, integrity and confidentiality aspects of information systems. 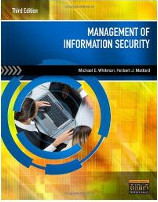 Explain the concepts of information systems security as applied to an IT infrastructure. Describe how malicious attacks, threats, and vulnerabilities impact an IT infrastructure. 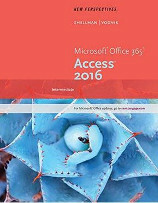 Explain the role of access controls in implementing security policy. Describe the principles of risk management, the common response techniques, and the issues related to recovery of IT systems. Explain the importance of security audits, testing, and monitoring to an effective security policy. 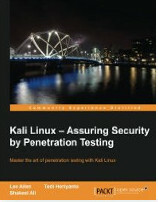 Explain the methods attackers use to compromise systems, networks, and the defenses used by organizations. Apply international and domestic information security standards to real-world applications in both the public and private sectors. This course addresses the broad topic of risk management and how risk, threats, and vulnerabilities impact information systems. 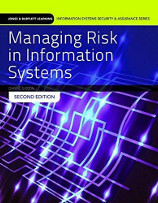 It explores general methodologies used to assess and manage risks to information security based on defining an acceptable level of risk for information systems. Activities such as detection, recovery and damage control methods will be explored. Identify compliancy laws, standards, best practices, and policies of risk management. Describe the components of an effective organizational risk management program. Describe techniques for identifying relevant threats, vulnerabilities, and exploits. Identify risk mitigation security controls. Describe concepts for implementing risk mitigation throughout an organization. 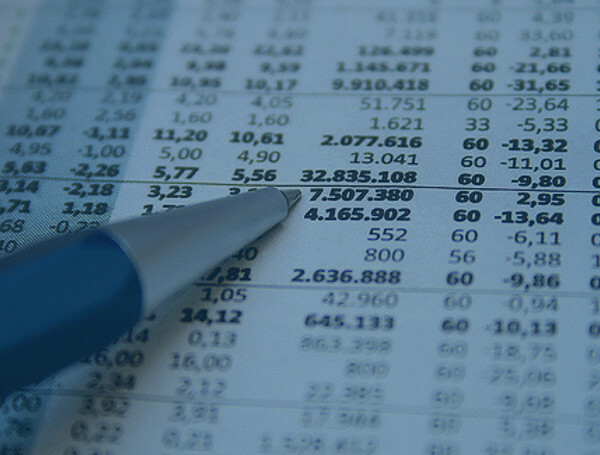 Perform a business impact analysis for a provided scenario. Create a business continuity plan (BCP) based on the findings of a given risk assessment for an organization. Create a disaster recovery plan (DRP) based on the findings of a given risk assessment for an organization. Create a Computer Incident Response Team (CIRT) plan for an organization in a given scenario. This course covers the principles, the approaches and the methodology in auditing information systems to ensure the processes and the procedures are in compliance with pertinent laws and regulatory provisions especially in the context of information systems security. Weekly quizzes, weekly labs/homework, midterm, and final exam. This course examines enterprise-level security architecture and its relationship to physical security. Security in service-oriented architecture (SOA), software-as-a-service (SaaS), business-to-business architectures, cloud computing and virtualization are discussed. 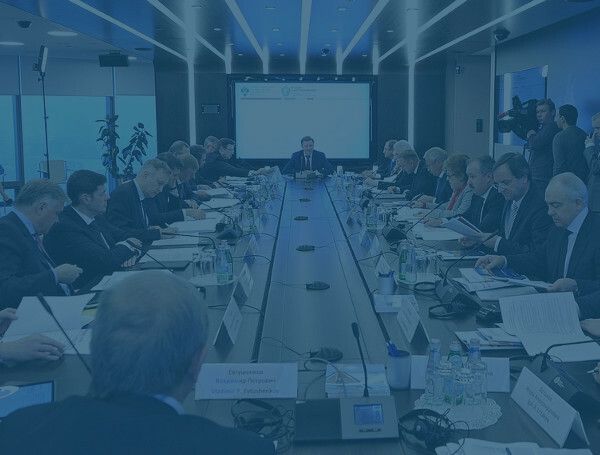 Topics include security infrastructure, policy and procedures, assessment, auditing, secure communications, defense in depth, multiple security zones, multi-level security, cross-domain solutions, and the unique challenges of advanced architectures are discussed. Emphasis is paid to the interrelationship of the security strategic plan with the business strategic plan and the strategic plans of other corporate functional units. Describe the responsibilities and authority of the security function within the corporate infrastructure. Show how the corporate business strategy and the strategic plans of functional units are supported by the security strategic plan. Describe the security assessment and risk process and how baselining is used to maintain a secure posture. Analyze the modification to traditional roles and responsibilities within the corporate environment to create and maintain a secure posture. 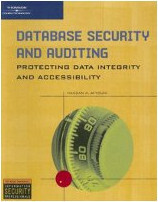 Design and evaluate the effectiveness of security policies, procedures, and guidelines. 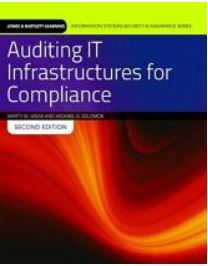 Show the role of internal and external auditing in maintaining a secure environment. This course surveys tools and techniques designed to detect vulnerabilities that exist on an organization's computer systems. The course will walk through how to manage an assessment, including the development of a scope statement, the understanding and proper use of assessment methodology, the creation of an expert assessment team, and the production of a valuable response report. The course examines common attack methods, general inadequacies in various systems and Common Vulnerabilities and Exposures (CVE) and some common methods to mitigate them in the organization. Identify and describe tools and techniques used to detect vulnerabilities. Identify and describe weaknesses in various systems and Common Vulnerabilities and Exposures (CVE). Develop policy relating to vulnerability detection. Identify various attack methods and develop protective measures relating to computer security. Identify and describe active and passive security attacks. Explain technology risks and how to assess vulnerabilities in order to prepare for security incidents. Conduct a vulnerability assessment and prepare a report with the results. Create a vulnerability management program for an organization. 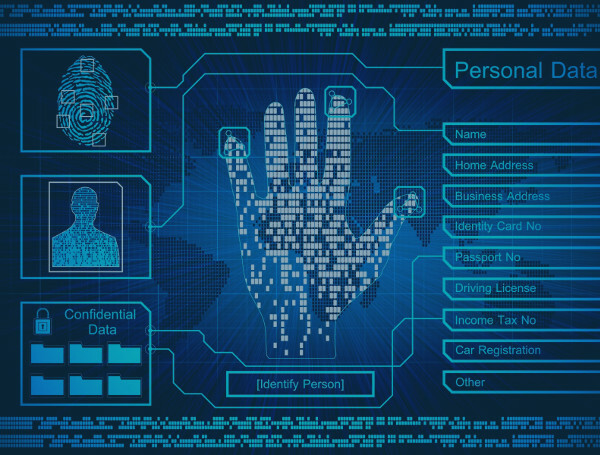 This course covers building security into data bases during the design. From database installation and testing to auditing and SOL Injection, this course examines into the essential processes and protocols required to prevent intrusions. Life cycle security development models are presented in addition to verification and validation strategies. 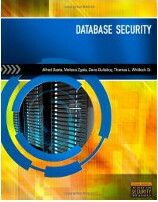 The role of the security professional in the creation and management of a database security policy is examined. This course will provide an overview of contingency planning and operations by examining the foundations of contingency operations and the development of plans to deal with business continuity in the case of a disaster. This class examines the administration of the planning process for incident response, disaster recovery, and business continuity planning. Topics include disaster recovery issues, possible threats, categories of disruptions, disaster recovery plan, developing a recovery team, backup alternatives, facility backups, electronic vaulting, off-site storage, testing and drills, maintenance, and phases of planning for recovery. Contingency planning within information security; planning for organizational readiness; incident response: preparation, organization, and prevention; incident response: detection and decision making; incident response: reaction, recovery, and maintenance; contingency strategies for business resumption planning; disaster recovery: preparation and implementation; disaster recovery: operation and maintenance; business continuity operations and maintenance; crisis management and human factors. Develop and execute disaster recovery test scenarios and plans. Weekly discussion questions, weekly labs/homework, Business Continuity Plan, midterm, and final exam. 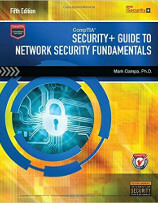 Perimeter security fundamentals; packet filtering; stateful firewalls; proxy firewalls; security policy; the role of a router; virtual private networks; network intrusion detection; host hardening; host defense components; intrusion prevention systems; fundamentals of secure perimeter design; separating resources; wireless network security; software architecture; VPN integration; tuning the design for performance; maintaining a security perimeter, network log analysis; troubleshooting defense components; assessment techniques; design under fire; a unified security perimeter: the importance of defense in depth. Describe the difference between stateful and non-stateful firewalls. Describe and discuss recent successful security attacks. 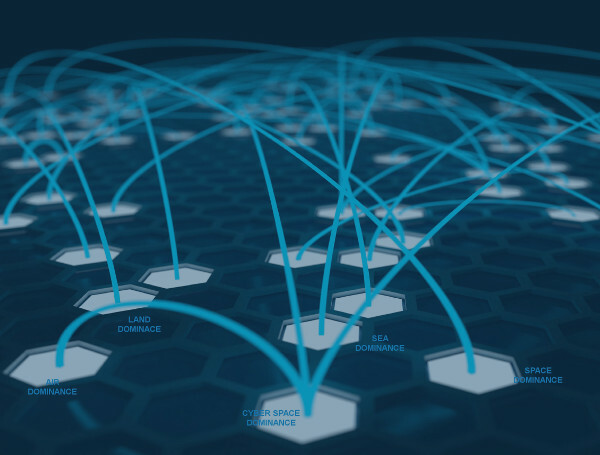 Design and configure network defense components according to their role and relationships. 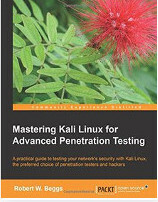 The course provides an in-depth look at testing network defenses by the use of penetration testing techniques. 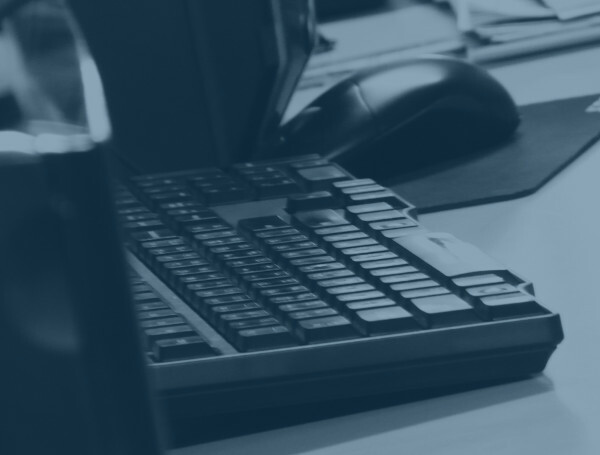 This course examines the various tools and methodology used in penetration testing. 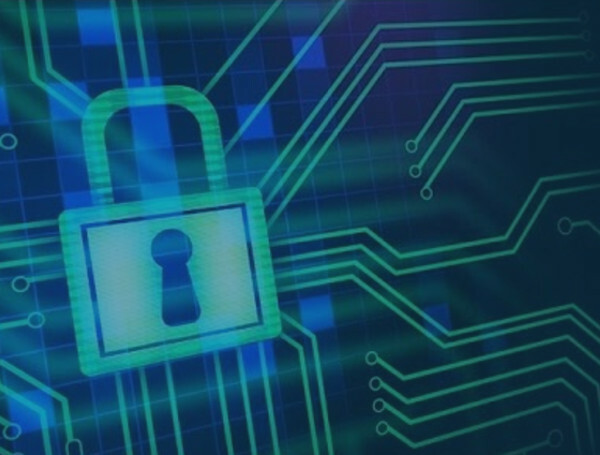 The course will examine the software and tools used by hackers to access unauthorized information. This course also addresses incident handling methods used when information security is compromised. 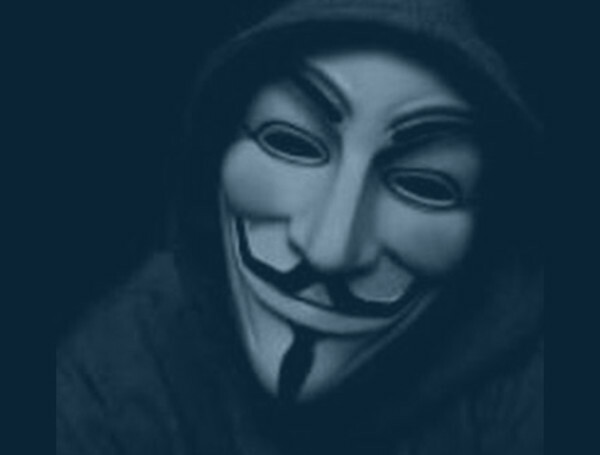 Explain the history and current state of hacking and penetration testing, including ethical and legal implications. Identify common information gathering tools and techniques. 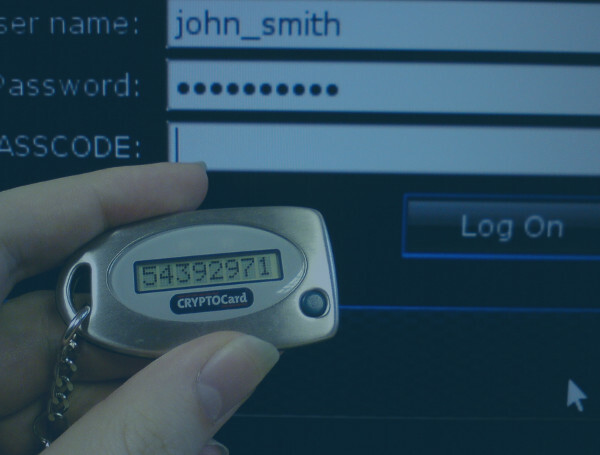 Analyze how port scanning and fingerprinting are used by hackers. Analyze how enumeration is used in conjunction with system hacking. Analyze wireless network vulnerabilities exploited by hackers. Perform web and database attacks. Identify Trojans, backdoors, and covert communication methods. 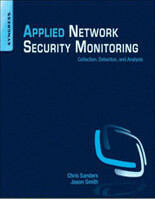 Perform network traffic analysis and sniffing by using appropriate tools. Perform incident handling by using appropriate methods. Compare and contrast defensive technologies. Weekly discussion questions, weekly labs/homework, network security design project, midterm, and final exam. 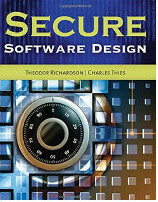 This course covers building security into software products during the software design and programming. Vulnerabilities related to poor programming techniques and data structure design are examined. 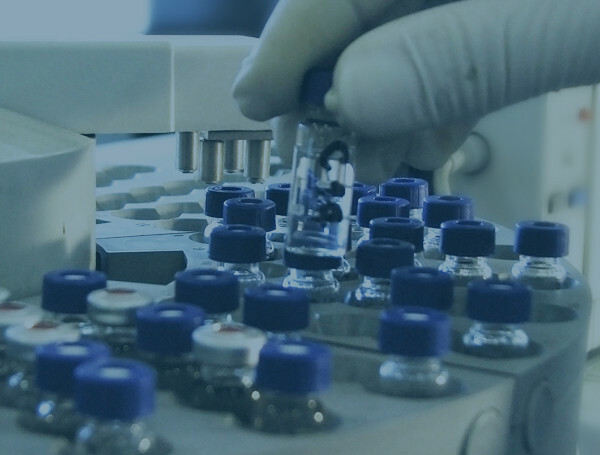 Life cycle security development models are presented in addition to verification and validation strategies. The role of the security professional in the creation and management of software security policy is examined. Examine how secure programming techniques can affect the security of corporate assets. 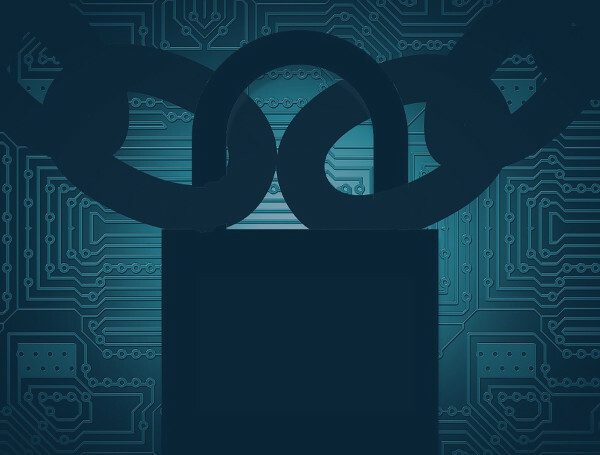 Show how the data structure design process without proper security controls contributes to vulnerabilities in corporate software applications. Develop a security life cycle development process to implement security controls in the programming, scripting and database development areas. Explain the additional development steps needed to perform verification and validation for security requirements. Itemize the software applications of an enterprise and determine software security policies needed to prevent attacks. Richardson, Theodor and Thies, Charles N.
This course addresses how Internet and Web-based applications have transformed the way businesses, organizations, and people communicate. With this transformation came new risks, threats, and vulnerabilities for Web-based applications and the people who use them. This course presents security strategies to mitigate the risk associated with Web applications and social networking. Internet, Web applications, social media, and social networking business; Web-based risks; secure coding practices; auditing, compliance, and quality assurance for Web applications; Web application security. This course covers a wide variety of issues related to the management information security systems Topics covered include access control models, information security governance, and information security program assessment and metrics. 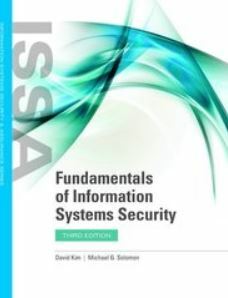 Coverage on the foundational and technical components of information security is included to reinforce key concepts. 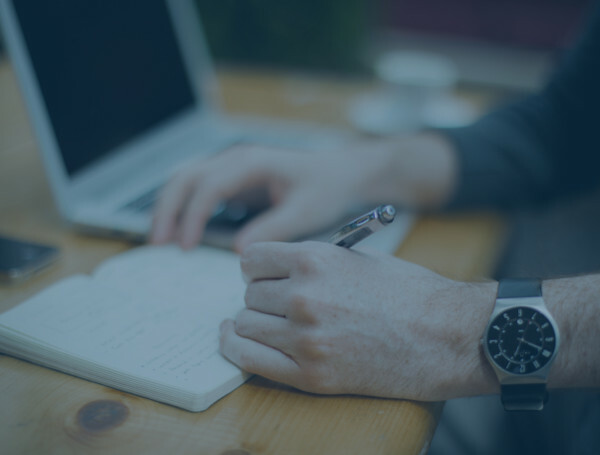 The course includes up-to-date information on changes in the field, such as national and international laws and international standards like the ISO 27000 series. 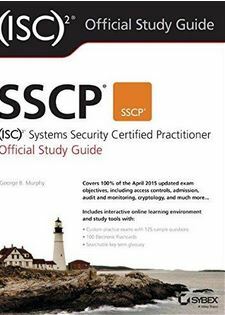 Introduction to management information security; planning for security; planning for contingencies; security policy; developing security programs; security management models; security management practices; risk assessment; controlling risk; protection mechanisms; personnel and security; law and ethics. Weekly labs/homework, design project, midterm, and final exam. Whitman, Michael E. and Mattord, Herbert J.